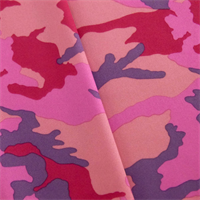 Mixed Pine True Timber&nbsp;Camouflage Coated Canvas Fabric600 DenierWater ResistantThis pattern has it all. All the colors you can imagine from all types of woods and terrain. Great looking bark, leaves, pine needles, cones and branches. 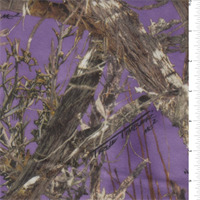 This pattern will work in any part of the country and in any type of terrain. 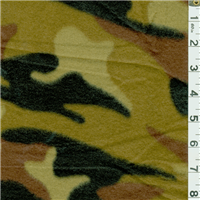 Tan MC2 (Mixed Concealment Camouflage) True TimberCamouflage Coated Canvas Fabric600 DenierWater ResistantThis is the perfect pattern for all open settings. The photographic elements of grass, sage, brush, rock, and open ground in MC2 give it the versatility to be effective in all settings. 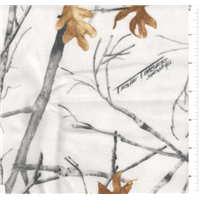 Snowfall True Timber Camouflage Coated Canvas Fabric600 DenierWater ResistantTrue Timbers trademark of unbelievable detail in fabric printing gives this pattern everything you need to blend into the surroundings of the winter forest. 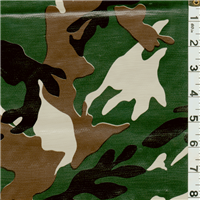 Dark Green, Brown, Black, &amp; Sage Green Camouflage Print Oilcloth Fabric Great for your breakfast or dinner table, patio, parties, BBQ's or picnic tables. Many use oilcloth for baby play areas, sewing/art projects, bags, totes, book covers, runners, placemats, gifts, or scrapbooks. Durable even when used with hot plates Easy to wipe clean with warm, soapy sponge Face is 100% PVC Back is 65% Polyester 35% Cotton Mesh 45" Wide Waterproof and protected with a clear finish Fade, stain, and soil resistant Imported from Mexico Usually $10.00/yd.